If you are a blogger who is writing features which people are keen to read, a fact which can be borne out by your monthly hits, here’s something you may not have considered before. You are already well on your way to having the basic set-up in place to run an effective affiliate marketing operation. 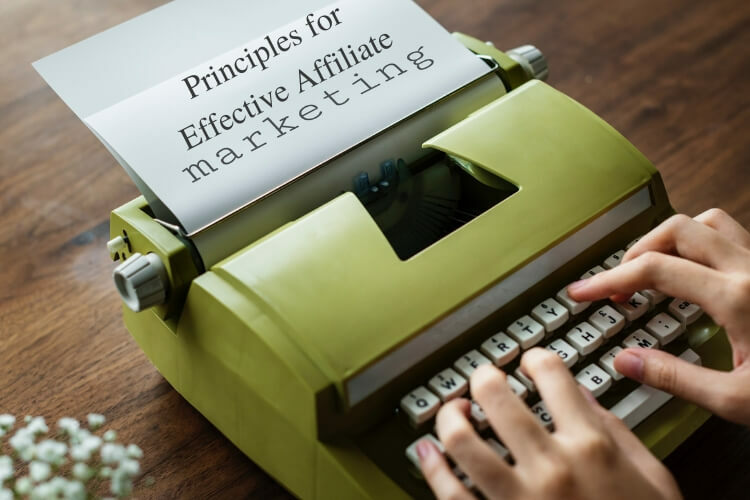 So what are the eight principles for a successful blog business incorporating an affiliate program? What you have to bear in mind is you are not going to attract random visitors who have arrived at your blog to buy certain products. They are merely interested in the subject. In that respect, you need to present a clean, readable website, with pleasant typefaces and, especially, easy navigation. Potential customers should never get the hint they are being viewed as just that. First and foremost, they are visitors to your blog. Your potential for engaging with your site visitors will be wholly reliant on your ability to write enthusiastically about the items you have signed up to promote. What is going to sell these units to customers is demonstrating how passionate and authoritative you are about them. A good starting point would be to join a cpa affiliate network to gain an idea of opportunities. Ideally, your aim should be to eventually be seen as the ‘go to’ site for anyone seeking further information. It can’t be overemphasized the whole point of affiliate marketing is not merely to list hyperlinks in the vain hope users land on these before clicking-through to sales. It’s all about creating a holistic experience. Central to this is presenting concise, well-written web content that will engage anyone alighting on your blog. Nor should this content ever be static. It should be fluid and regularly updated. A good rule of thumb is to prioritize content first and view the hyperlinks as an afterthought. Links should be organically placed within the pages so customers arrive at these without ever getting the sense they’re being cajoled here. Obviously, the whole point of earning commission is some of your customers actually do click through; to an extent, you need to achieve a balance between presenting these hyperlinks subtly, while ensuring they are never completely obscured. In order for your marketing campaign to be as effective as possible, you must always be enthusiastic about whatever product you are promoting. Try to focus on how your customers would feel about the way you are presenting these items. Encourage them to write reviews and if you get five-star accolades, ensure these are given due prominence on your blog. Another worthwhile tool is to film a product review and upload this video to your blog. The old adage about a picture being worth 1,000 words will certainly be a useful promotional tool for you. If you’re promoting products which have a niche appeal, you can be even more fanatical when it comes to writing about them. It is this aura of confidence in your subject that will get your customers coming back for more. If you are promoting more than one affiliate product, keep a careful eye on which are performing the best. Prioritize successful products and ditch unprofitable ventures. You should look upon your blog as a platform to encourage your site visitors to share their experiences through their own social media. So always include like and share buttons.